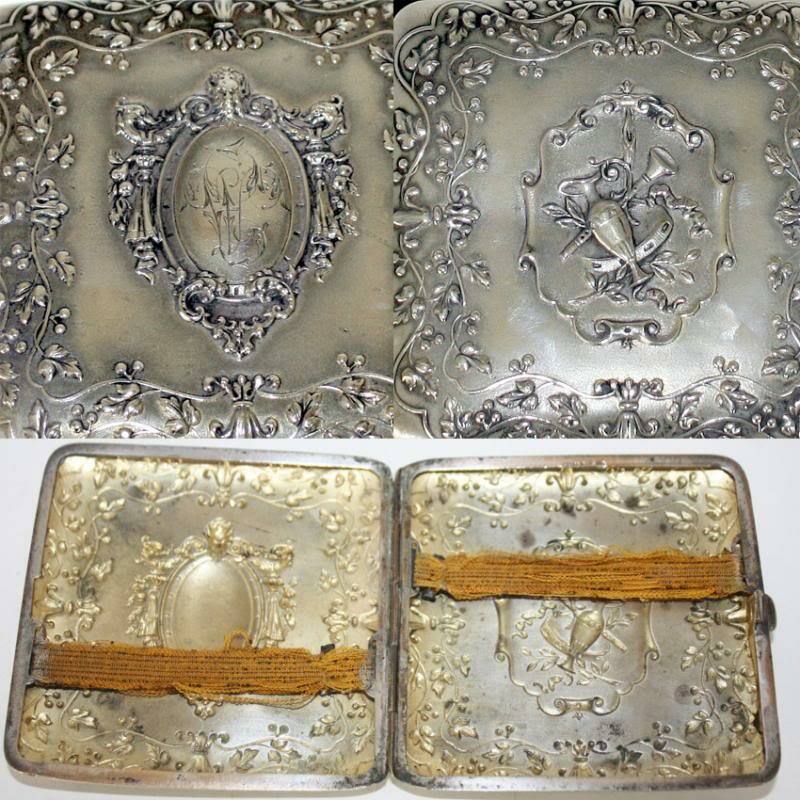 Fine Art Nouveau French silver plated cigarette case, circa 1890's. Decorated on the front and back with repousse, the front features a stunning cartouche with monogram, featuring Griffins and Bacchus, or Dionysus as he was called in Greece, the god of wine, or grape harvest. The center is surrounded by gorgeous foliage and vines, as well as Fleur de Lis. On the reverse, the center is embellished with a typical French musical cartouche of Lute, Tamborine and wine vessel, again surrounded by the beautiful vines and Fleur de Lis. Push button closure, opening to reveal a gold washed interior. Condition is good considering the age of this beauty, the gilt washed interior has some wear and darkening commensurate with age. 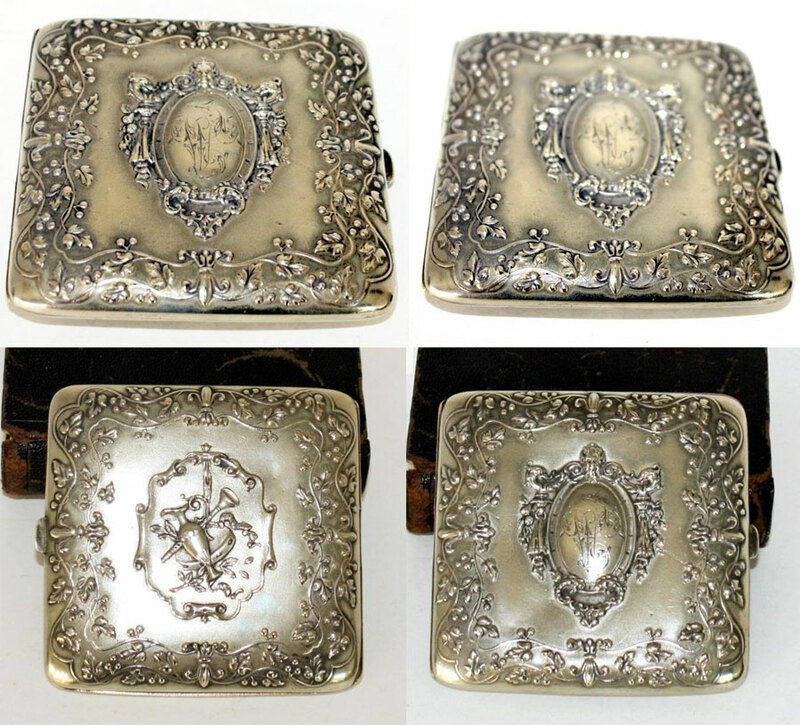 Stunning to add to your objet 'd art collection, to display with your collection of French silver cases, or to use. Measures 3~1/2" x 3~1/2".